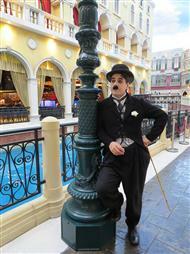 Mr. Ned is Charlie Chaplin. One of the greatest visual look-a-like acts in the world. He is a witty and charismatic as the real one. His shows are extremely classical interactive.